I have been using my Mac for quite some time, as such I have personally found what apps work for me and what are in my opinion some of the better ones through research and reviews. I know that I’m an outlier and not everyone is going to put that much research into what they are looking for in an application, especially in the App Store on Mac, which can be very tricky to navigate to find the gold hidden within. 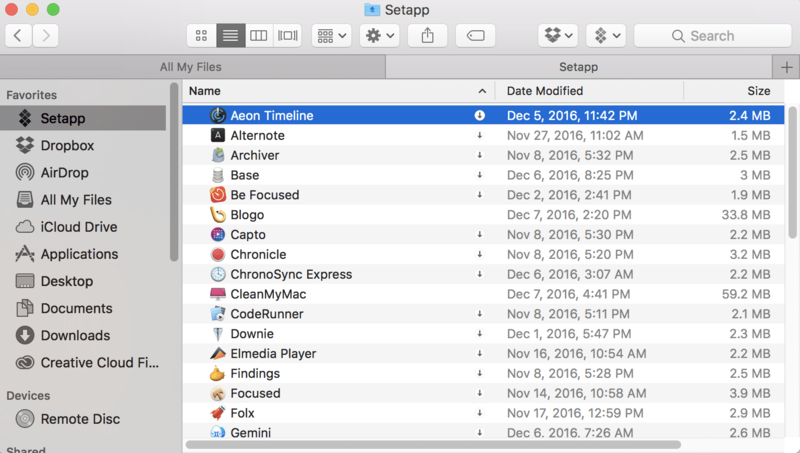 One company just had an interesting idea to try to resolve this issue, MacPaw, creator of popular Mac apps such as CleanMyMac and Gemini just launched a new service called Setapp, who is trying to become your one stop shop for all of your Mac Applications. The idea behind Setapp is that you pay a monthly subscription fee of 9.99 a month, that fee allows you unlimited use of all of the apps in their portfolio on up to two of your Macs at any given time (speaking to Setapp PR, they are working on a family plan in the future). You get any updates to the software that comes through as well, so if RapidWeaver for example created a new paid upgrade version, you would automatically have that in an update, without having to pay more separately. 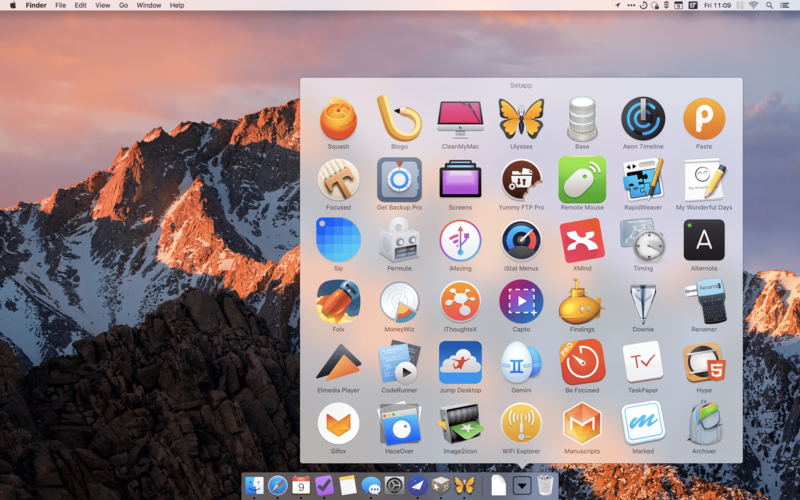 Its a curated set of applications that for the most part are some of the best in the Mac ecosystem, so you would have all your needs taken care of by this one subscription. All developers who sign up for the platform to have their app provided as part of the bundle each get a part of the subscription fee paid out by users. The idea behind it being that they would be able to get re-occurring revenue that could be more sustainable to them in the long term without having to wait for the “feast or famine” that can happen with paid upgrades on a much lower cycle. The revenue each developer gets is based on several factors, such as if a user accepted an invite to the service from a certain developer, if the app was used that month on Setapp, and a formula based on the cost of a developer’s apps outside the App Store. Revenue is given out even if you only use the app once durning a billing period, so you can support a developer with literally one click, thats pretty neat if you ask me! I will say from my use of the invite only beta right now, it’s pretty easy to get everything set up and good to go. After downloading Setapp, you install it, login and you see all the apps in a folder on your finder. Letting you know what the app does, some pictures and if you want to open it. 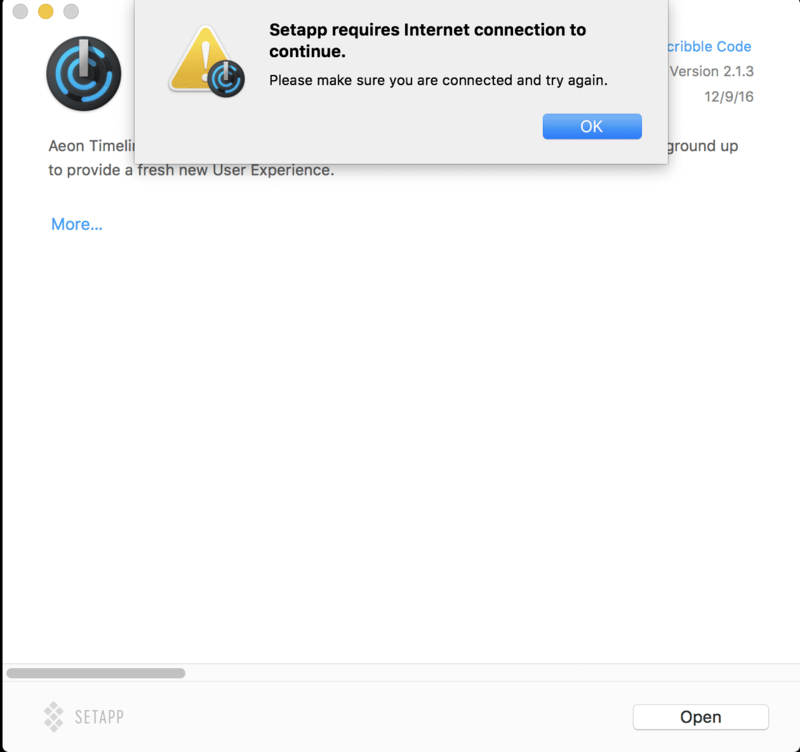 Opening it has Setapp pull the rest of the app online onto your system and it then opens ready to go. Some metrics are sent back to Setapp based on what apps you have opened, sending data to stats.setapp.com. I highly recommend keeping this open in your firewall, as the stats are used in calculating how revenue is distributed to every developer on the Setapp platform. You have to be online to use an app the first time! There have been a couple of small bugs I’ve run into. 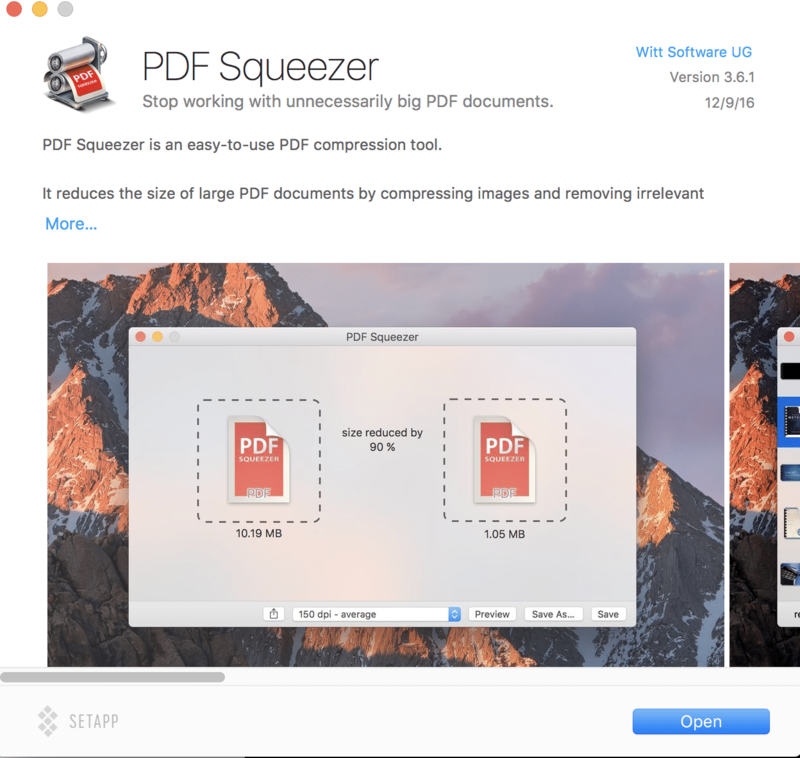 If I am in the finder, and I already have an app I own, but is also in Setapp. The Setapp version is the default even though I have the program loaded. This can be a little frustrating, but I can see hopefully being a quick fix for the team. Edit: from the time I drafted this article to posting, I sent the error to Setapp and they are aware and working to resolve the bug. I decided to do a little research on the total cost of use, as well as the cost for what would be “my” use of Setapp. As Setapp is a subscription service, you don’t have permanent licenses to any of these apps, so if you ever stop paying they are gone after your term is up! As such it’s worth investigating what the value of this service would be from person to person. At the time of writing this article, there are 49 Apps currently in Setapp’s Portfolio. Some of these are subscription services, annually charging their fee (Blogo for example, it’s pro service is 70 per year). For the sake of making the math simple, I am going to set it at the annual price once. With this change, the totals are going to be a little higher than this. This also does not include the fact that upgrades are covered in the subscription, and I can’t help but think some of these apps will see an upgrade in the next few years. That’s neat, but do you really use all of them? Likely not, many of these applications are in the same family of kind of apps (such as writing, research, backup, etc.) so I’m going to do another calculation, using the apps that I would use right now in the service and how long it out be for that to break even. Many of these apps I have already purchased, several of them on sale through bundles, when the developer was running a promotion, or myself buying 20% off iTunes cards to use in the App Store. If I throw in the cost it cost me for each of these apps, here is how those numbers change. Note: Many of these promotions were quite some time ago, may not be repeated and should be taken as face value of the ‘value’ of an app, I just do this to make another point of reference. I also had a few as a student, I am not adding that in as that is a discount not everyone can get. At this point the total would be 299.43, or two and a half years to break even. At this rate it still does look promising for many people, but maybe not for me. Just to break it out, since I already own several of the apps that I would utilize in Setapp, here’s the table one more time, broken down to only the apps that I don’t currently own a license for. At this level, the total would be 135.91. A little over 13 months and the subscription starts becoming a raw deal for me. At least with my current situation, Setapp does not make economic sense for me to keep sticking around in for now. I’d say for the majority of Mac users, it would definitely be worth signing up. For everyone else, I would say everyone should at least give the beta a shot. When you are in it, you get free access to all of the applications until March 1st 2017, at which time the billing will begin. It’s a fantastic chance to see what apps would work best in your workflow and for you to run the numbers for yourself to see if the service would be worthwhile to you as well. Currently during this beta phase, Setapp is invite only. You lucky readers are in luck though, as I have 25 Invites to give out to the service. Simply click the link here to get in! Once these invites are all gone, you will be redirected to the invite wait list.